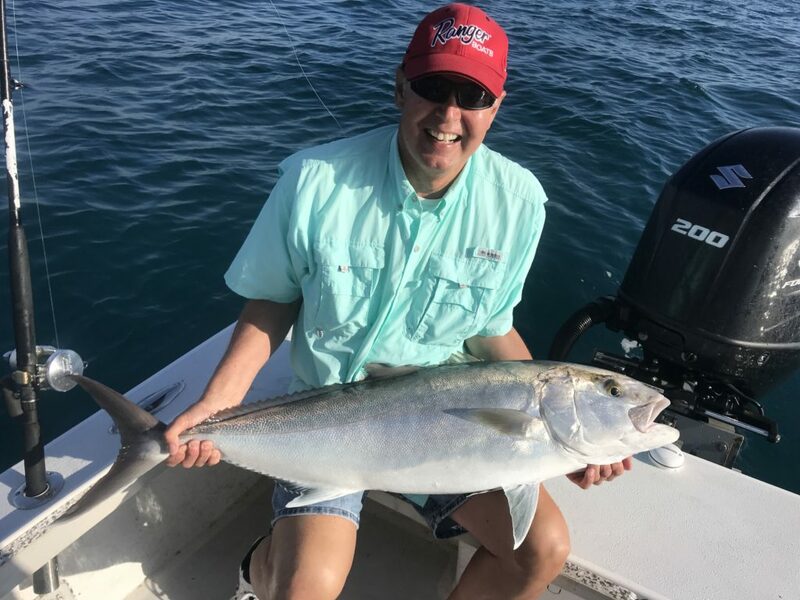 Giant amberjack off Anna Maria Island that tapped out the crew. 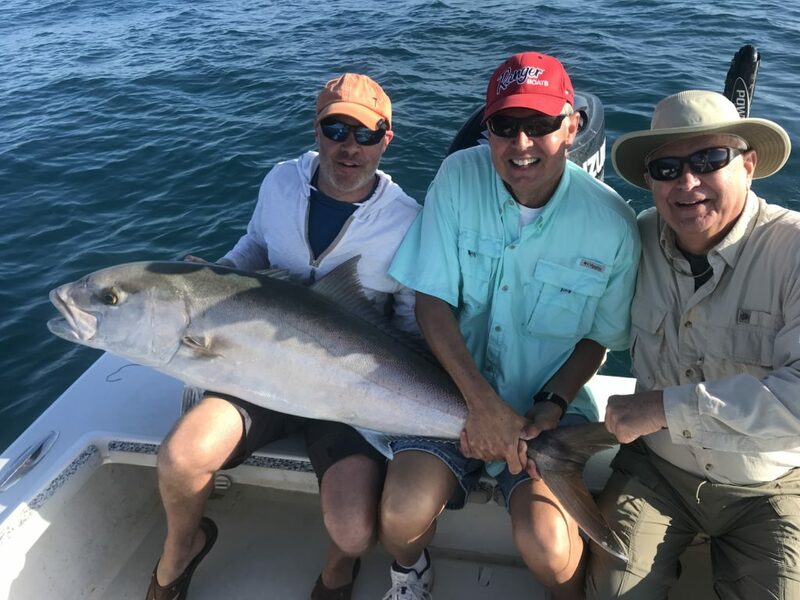 The crew from Chicago getting wore out in Amberjack. He was excited to catch a fish out in the saltwater way harder then a bass! 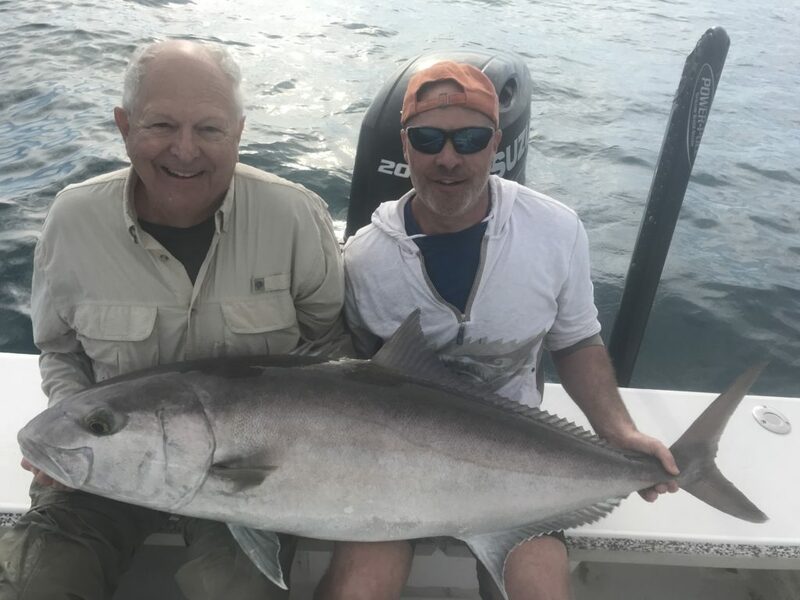 Father and son amberjack photo. Nice catch of snapper for the crew along with a nice red grouper. 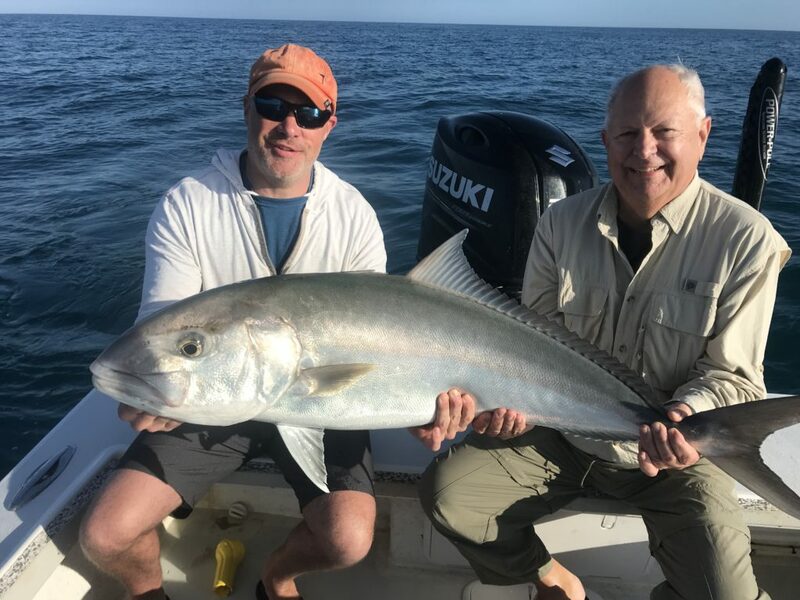 Gave the guys the options they wanted to tug on some big fish and then catch dinner. 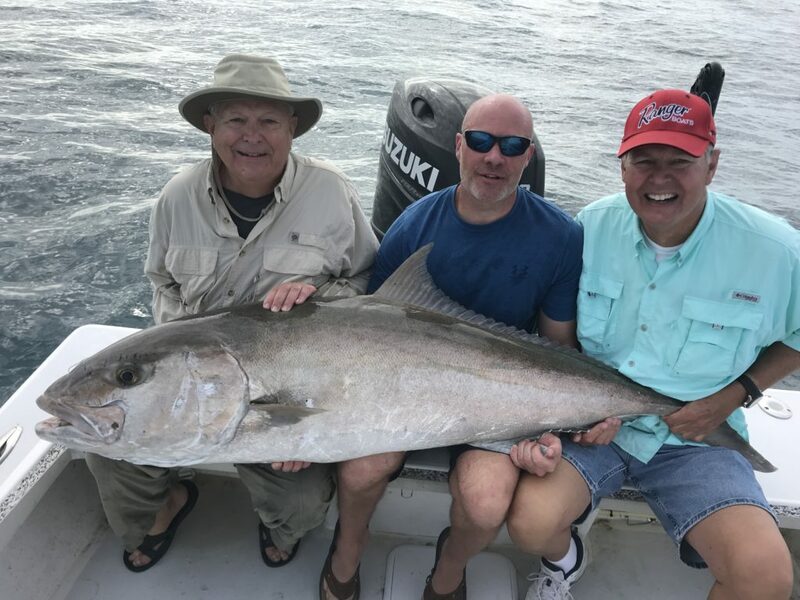 Caught everyone a couple big amberjack one was close to 100 lbs and that tapped out the crew on amberjack. 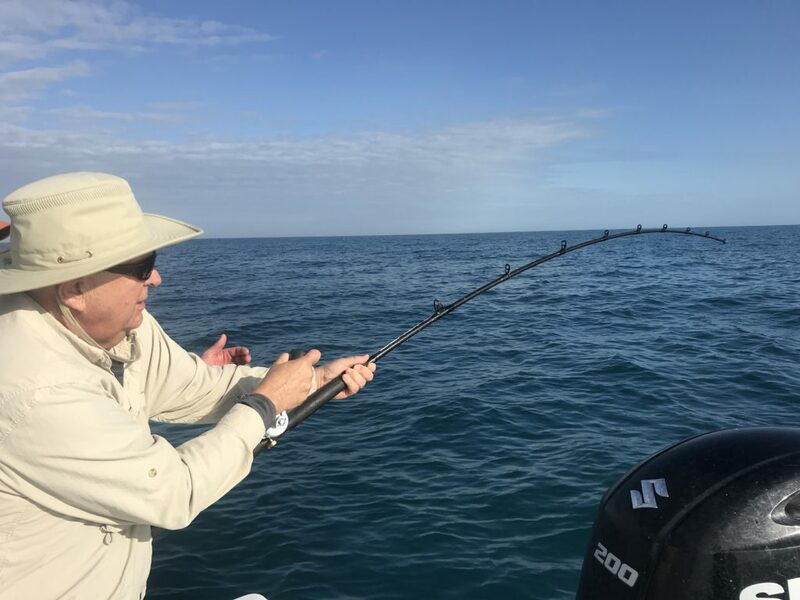 We then focused on snapper. 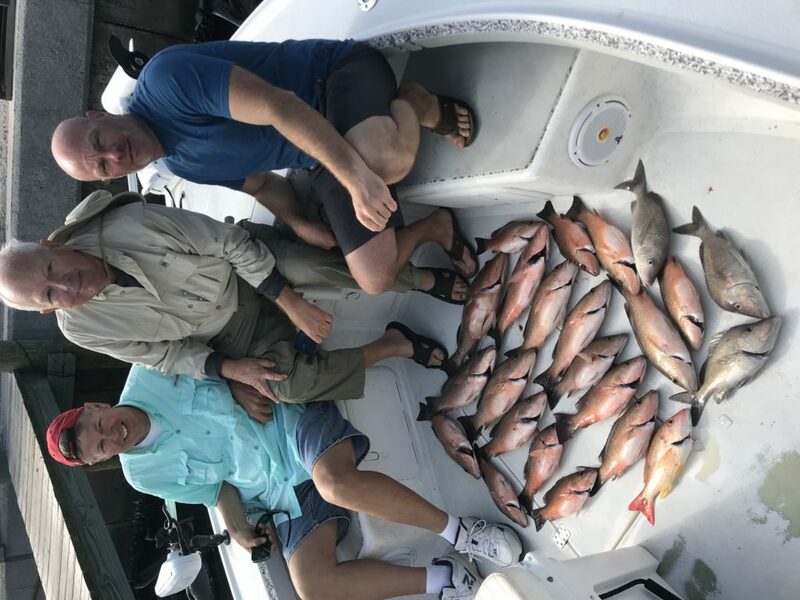 Had a non stop mangrove snapper bite with some nice lane snapper and a keeper red grouper.